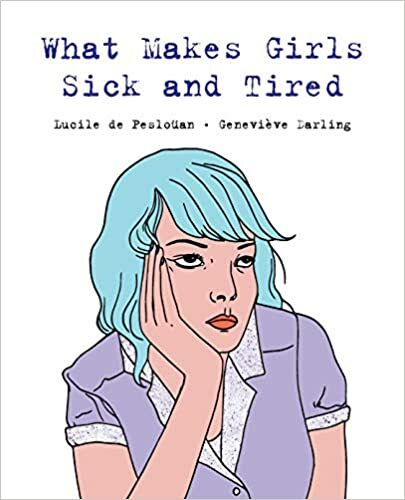 What Makes Girls Sick and Tired, written by Lucile De Pesloüan and illustrated by Geneviève Darling, will be published March 19 by Second Story Press. It’s a brief and simple text that pairs minimalist illustrations of diverse girls and women with short descriptions of forms of discrimination, stereotyping, and oppression experienced because of gender and sexual identities. My Ani DiFranco loving sixteen-year-old self would have enjoyed it, although thirty-eight-year-old me is not so impressed. But since teens are the clear target audience, I’ll let sixteen-year-old me talk first. De Pesloüan runs through experiences many teens will be familiar with, from gendered expectations for household chores to being bombarded with narrow body ideals, as well as issues they may not immediately connect with, like honor killings and forced marriage. Twenty years ago, I would have felt understood by the text and it would have excited me. I don’t know that it would have promoted much critical thought or conversation. It certainly wouldn’t have prompted action. It is a text that doesn’t really go anywhere. And, although it features diverse women and girls, difference is flattened by the quick and decontextualized descriptions of social inequalities experienced by women otherwise positioned quite differently. I guess what I am saying is that I want this book, but I want it to be better. I don’t think it’s worth purchasing. I received a free copy from NetGalley.